Brazil's "literatura de cordel" is folk-popular poetry (meaning from both the oral and written traditions) which thrived in Northeastern Brazil for most of the twentieth century. After a hiatus of some years when its production fell significantly due to economic and social change in Brazil, it is experiencing a revival due primarily to the personal computer and printer which allow poets to bypass the high cost of typographies and printing shops. There is in addition a large presence of "cordel" type poetry on the internet. "Cordel" was originally written by humble backlands poets or urban poets, most with very limited formal schooling but with the "gift" of verse. The pioneers of "cordel" were from the northeastern states of Paraíba and Pernambuco, and many were steeped in the oral tradition of the "cantador" or improviser of oral verse in the northeastern poetic duel. The poets created their stories in verse, generally in six or seven-line strophes with xaxaxa rhyme and took them to the local printing shops. The shops printed the poems in chapbooks of 8, 16 or 32 pages, illustrated the covers with decorative type until the 1920s, postcard scenes and pictures of Hollywood movie stars from the 1930s to the 1950s, and most recently and most commonly, folk woodcuts. The poet received a share of the printed copies and sold the story-poems called "folhetes, folhetos, livro de feira" or other names in the local country fair on weekly market day and in city markets throughout the Northeast. He would set up a stand displaying the booklets of verse and then sing or recite them to an avid public. The center for "cordel" became Recife, Pernambuco, with poets and their "agents" traveling to most of the towns in the northeast interior to sell the verse. But because the Northeast was plagued by drought and economic hardship, the poets migrated along with millions of others to the Amazon Basin, the cities of Rio de Janeiro and São Paulo, and finally to the new capital of Brasília. Thus "cordel" became known throughout a large part of Brazil and represents the best of the Brazilian folk-popular tradition. Today in the early part of the 21st century, cordelian authors now may be more urban, living in large cities in the Northeast as well as in São Paulo or Rio, may be from the middle class, and may have college degrees. Topics are more urban, language is more contemporary, but in many cases the new poets still respect and obey the old traditions in regard to topic, title and language. And many poets write poetry and distribute it through the Internet, although most of these story-poems never get into print. The oral, improvised poetic duel in written form called the "peleja." "Traditional" popular themes, largely in a fiction mode, dealing with fairy tales, love and adventure or religious themes. The largest number of poems in old "traditional""cordel" are in this mode. Non-fiction (in large part) story-poems which report all manner of current events from the local to the national to the international. Because of the latter (n. 3) "cordel" became known as the "newspaper" in verse of the poor of northeastern Brazil and its poet "the voice of the people." The current event story of 8 pages in length became known as the main link in communication between the national media and its "recodification" in the people's newspaper in verse. The booklet of cordelian poetry first of all entertains in its role as the primary written document of the folk-popular literary tradition in much of Brazil, a tradition coming from the chapbook literature of Portugal, Spain, France and Italy. In these stories the Brazilian reader discovers medieval chivalry in the stories of Charlemagne and the Twelve Knights, old fairy tales including Snow White, the oriental tales of Aladdin and Ali Baba, and traditional Catholic stories of Jesus, Mary, the apostles and saints in their battles against the evils of Satan. In addition, there is a plethora of love and adventure stories, of princes and princesses, of monsters and dragons to be slain. And there is humor, the Brazilian "quengo" or "amarelo," the local version of the clever rogue, a "pícaro" who survives by wit. In almost all these story-poems there is present a strong, moral undercurrent: Good conquers Evil in all its forms. "Cordel" entertains as well with the written version of the oral, improvised poetic duel known in Portuguese as "peleja, desafio, cantoria" or "repente." Two poets face each other, and wit, intelligence and a quick tongue determine the winner. The current event story-poems chronicle religious, social, economic and political events and their protagonists during the entire twentieth and beginnings of the twenty-first centuries. Religious fanatics and wars in the backlands, Robin Hood-like bandits who ravaged the Northeast for almost forty years, and the ups and downs of national political and economic life – these are the staples of "cordel." The poetry chronicles the infant First Republic, the upheaval of the 1920s, and the odyssey of revolt, revolution, Corporate State and finally, workers democracy, under Brazil's most famous politician, Getúlio Vargas. What comes next is the dynamic and chaotic quest for democracy for the next ten years under President Kubitschek and the founding and building of Brasília, Jânio Quadros' eccentricities in his efforts to sweep away the corruption of the past during his six brief months in office, and reformer-leftist Jango Goulart's turbulent four years. "Cordel" then tells of the balance of the century in the dark years of the military dictatorship from 1964 to 1985 and the return to "normality" and Brazil's quest every since for a place in the sun (other than the beaches of Ipanema, Copacabana or Itapuã). Most recently "cordel" has chronicled the political scandals of the "money in the shorts," "the big monthly payments" to corrupt politicians, and the highly popular regime of Lula, the poor northeastern migrant in São Paulo, turned union leader and now populist president. Cordelian reporters looked outside Brazil as well and chronicled World War I, World War II, and the major international conflicts since then, giving emphasis to the role of the United States and its leaders. Most recently, the poets document international terrorism in the attack on the Twin Towers in New York City and Bush father and son's wars in Iraq and Afghanistan. The poets send Saddam Hussein, Osama Bin Ladin, Blake of England and especially George W. Bush to hell for their efforts. Finally, "cordel" directly or indirectly always teaches. It offers traditional Catholic "old church" teachings in stories on traditional religion and morality. But Brazilian religious syncretism and flexibility of character allow as well Kardec Spiritism, Afro-Brazilian religion and Indigenous spiritism. In moral "examples" "cordel" tells the reader how to live, but most often with tongue-in-cheek stories like "The Girls Who Beat Up Her Mother on Good Friday and Was Turned into a Dog." One can say, in summation, that "cordel" in its entirety portrays life in the 20th and beginnings of the 21st centuries. For the poets and their readers cordel is entertainment, news and a moral guide. The rest of the Brazilians and interested foreigners may share such purposes with the humble cordelian public, but probably for the former, cordel has other values.For Brazil in general it represents the best written document of the traditions of the humble class (but shared often by all classes) of the Northeast. It is a part of the national cultural heritage. With the tenets of Modernism dating from the 1920s in Rio de Janeiro and São Paulo, elite writers and artists wanted to create an art essentially Brazilian rather than European oriented, so many used cordel as well as other aspects of folk culture in their works. 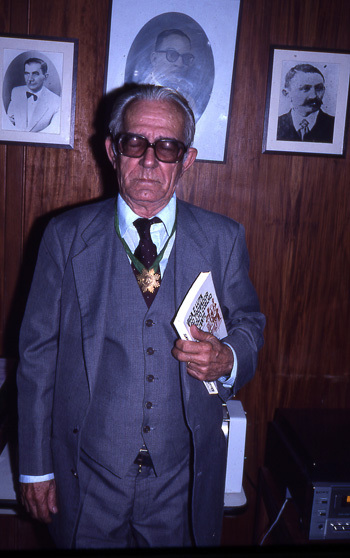 Mário de Andrade admired cordelian poetry and used folklore in his Macunaíma and “O Romanceiro de Lampião.” Jorge de Lima used northeastern folk themes in his verse. The writers inspired by Gilberto Freyre’s Regionalist Movement of the Northeast in 1926 used both the poetry and the personage of the poets in their works. José Américo de Almeida in A Bagaceira, José Lins do Rego in Cangaceiros and Fogo Morto, Raquel de Queiróz in many of her works, and Graciliano Ramos used the essence of the difficult life of the vaqueiro to create Vidas Secas. 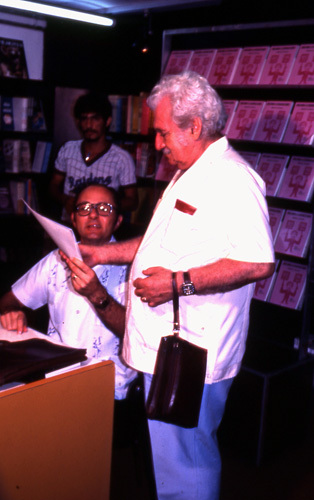 But of that generation Jorge Amado most of all used the poetry, personages and values from cordel in many of his novels: Jubiabá, Pastores da Noite, Tenda dos Milagres, especially Teresa Batista Cansada de Guerra. 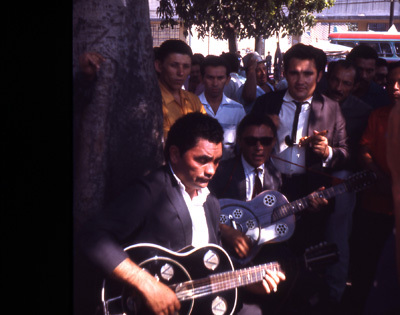 In more recent times João Guimarães Rosa utilized the sub-stratum culture shared by both Northeastern cordel and the folk culture of Minas Gerais and Southern Bahia to create his masterpiece Grande Sertão: Veredas. Ariano Suassuna based a life of work on Northeastern folklore and verse, especially his play the Auto da Compadecida and novel Romance da Pedra do Reino. And finally, João Cabral de Melo Neto was deeply inspired by poetry and values in cordel or the cantador in his wonderful Morte e Vida Severina. There are many cinematic and televised recreations of the bandits of the Northeast and of "religious fanaticism" in the stories of Antônio Conselheiro, Padre Cícero or even Frei Damião. Glauber Rocha of “New Cinema” fame was especially aware of the tradition and used it in many of his films, including Deus e o Diabo na Terra do Sol and Antônio das Mortes. Samico and Brennand also borrowed from the popular tradition in their painting and woodcuts. The famous clay dolls [boneca de barro] of Caruaru and other fairs in the Northeast share the same themes as cordel in their depiction of life in the region, relying heavily on Father Cícero, Lampião, and the northeastern cowboy. These are the "old-timers." An entirely new generation of artists continues to blend northeastern themes, borrowings from cordel and recreation of the same today. Cordel celebrates one hundred years of existence as we arrive at the year 2000. The oldest story-poems were printed in the 1890s, and the first major national event registered in cordel was the War of Canudos in 1896, the national tragedy when the Brazilian Army decimated the poor backlanders and their leader Antônio Conselheiro in the backlands of Bahia. The great pioneering poets of cordel, Leandro Gomes de Barros, Francisco das Chagas Batista, João Melchíades Ferreira da Silva and others wrote in the first decades of the century. João Martins de Atayde then created the “heyday” of cordelian production with a stable of writers in Recife, Pernambuco, from the late 1920s to the 1950s. Atayde’s stock plus that of Leandro Gomes de Barros bought by Atayde from the poet’s widow in 1921 were moved to Juazeiro do Norte, Ceará, in the late 1950s when José Bernardo da Silva continued the tradition. So the city of Father Cícero also had its day in the sun. Another generation continued strong through the 1960s. Cordel then began to diminish seriously because of the availability of the transistor radio, then television, then color television, the high cost of producing cordelian stories, and the lack of buying power by its traditional public. Local fairs diminished and vanished, but mainly, Brazil modernized and cordel no longer served as the main entertainment and news medium it was formerly for the humble class of the Northeast. But a mini-revival took place in the 1970s and 1980s spurred on by intellectual interest when universities were encouraged to have cordel represented in their curricula. High school and grade school teachers were encouraged to teach cordel so that young Brazilians would know of this important part of the national heritage. 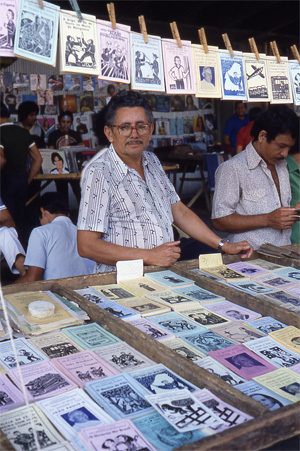 An additional stimulus for cordel was the sale of woodcuts alongside the cordelian stories in the marketplaces with the result that even foreign tourists with little knowledge of Portuguese could buy and take Northeastern folk art home in the form of prints and folhetos de cordel. The saga of the battle for a return to democracy after twenty-one years of dictatorship, the “Direct Elections Campaign,” and the personal quest of President-elect Tancredo Neves gave cordel a huge revival from 1983 to 1985. The return to democracy and the usual jousting of presidential hopefuls kept things lively through the election of Collor de Mello and his dramatic impeachment in the early 1990's. "Cordel" continues today with the changes noted previously: some veteran poets and woodcut artists such as José Costa Leite, J. Borges and Abraão Batista continue in the Northeast and Gonçalo Ferreira da Silva in Rio. But a new generation of poets is writing today, among them second generation poets like the very successful Marcelo Soares, son of the "reporter of "Cordel" José Soares in Pernambuco. These poets, many from the middle class, many with college degrees and most living in urban areas continue the old themes and format writing their story-poems on the computer and printing them on the printer at its side. And a whole new phenomenon—cordel on the internet, is important in today's highly developed electronic media oriented Brazil. Gustavo Dourado is one of the most prominent of the "internautas" employing themes and format of the old "cordel" although most internet poems do not arrive in print. But as we have said in previous publications, whatever may be the main role of cordel today, one can be grateful that it is preserved in the national archives as an important and irreplaceable part of the national folk-popular heritage. The Rui Barbosa Foundation in Rio de Janeiro, the Institute of Brazilian Studies in São Paulo, the university collections in Paraíba, Ceará, Pernambuco (and others) plus several private collections provide the greater part of access to cordel today. A recent and very ambitious program by Hedra Publishing House in São Paulo has plans for fifty monographs on the best of cordelian poets by recognized scholars in the field; may it come to fruition. Cordel in the thousands of poems in the archives is truly an encyclopedia in verse of a rich, northeastern folk-literary past, of Brazilian social mores, and the minor and major events of the twentieth century. Through the poems ones sees “the vast universe” of cordel. If one is industrious and persistent, he can still see glimpses of that universe in Brazil today.